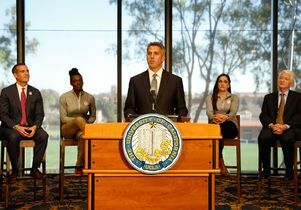 LA 2024 Chairman Casey Wasserman flanked by Los Angeles Mayor Eric Garcetti, Olympians Dawn Harper Nelson and Jordyn Wieber, and UCLA Chancellor Gene Block. The committee bidding for Los Angeles to host the 2024 Summer Olympic Games has selected UCLA as the site for the Olympic Village, which would house all competing athletes. 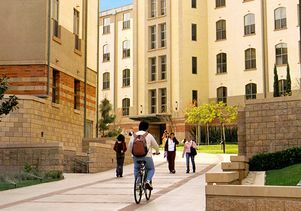 At a campus press conference today, LA 2024 officials said they were drawn to UCLA’s newly built and recently renovated residence halls, which feature modern design, spacious layouts, social gathering places and the latest technology. 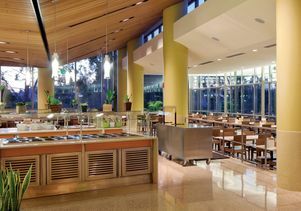 The residence halls house award-winning dining services and eight restaurants with the capacity to prepare a variety of healthy meals for athletes in comfortable dining rooms. 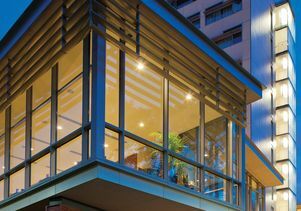 Also factoring into the committee’s decision were UCLA’s top-of-the-line training and medical facilities. 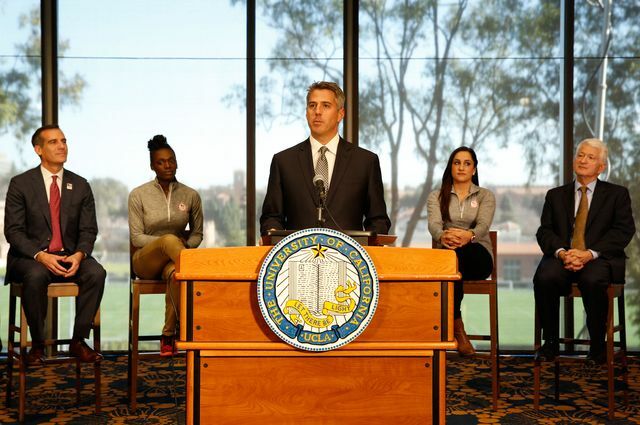 “UCLA’s state-of-the-art campus and accompanying world-class facilities provide the ideal environment for Olympians to live in and train as they prepare for the greatest competitions of their lives,” said LA 2024 Chairman Casey Wasserman, a UCLA alumnus. Also appearing at the news conference was Los Angeles Mayor Eric Garcetti. 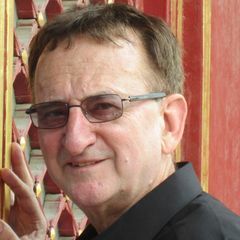 “We have carefully chosen facilities that are sustainable, fiscally responsible and athlete-friendly,” he said. In addition to hosting the Olympic Village for athletes and team officials, UCLA also would serve as the venue for competitions in basketball (in Pauley Pavilion), water polo (Los Angeles Tennis Center) and field hockey (Drake Stadium). 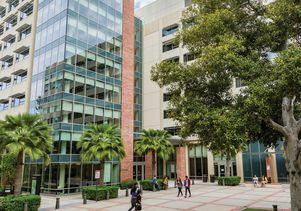 The LA 2024 committee said it had selected the University of Southern California as the site of the bid’s media village. The announcement about the villages, which was live-streamed by LA 2024, was held in the Palisades Room of Carnesale Commons, with the iconic Royce Hall visible in the distance. UCLA has produced 398 Olympians who have won 251 medals. Among them are hurdler Dawn Harper Nelson, a 2008 gold medalist and 2012 silver medalist, who participated in Monday’s announcement. Jordyn Wieber, who won a gold medal in gymnastics in the 2012 London Games, also participated in the news conference. 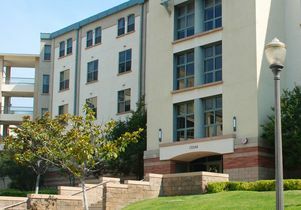 UCLA currently houses approximately 14,000 students in campus residence halls. The campus has a long-standing strategic plan — developed regardless of the Olympic bid — calling for 2,000 to 2,500 beds to be added, based on projected demand. Costs associated with housing and dining for Olympians would be borne by LA 2024. The International Olympic Committee is expected to select the site for the 2024 Summer Olympic Games in September 2017.